Now if you’re anything like my husband, you may be a little bit afraid of things (foods) you haven’t tried. Especially if you’re a visual person. I completely understand how the way something looks can totally throw you off, but how many times have you judged a person, a store, or a book by the way they looked only to find yourself completely surprised? This is especially applicable to vegetables. Now for the meal! It wasn’t totally meatless this time (I was trying to warm my hubby up to the idea of brussel sprouts, which he adamantly claim to dislike), but it had little meat, and we’ve since had it without. 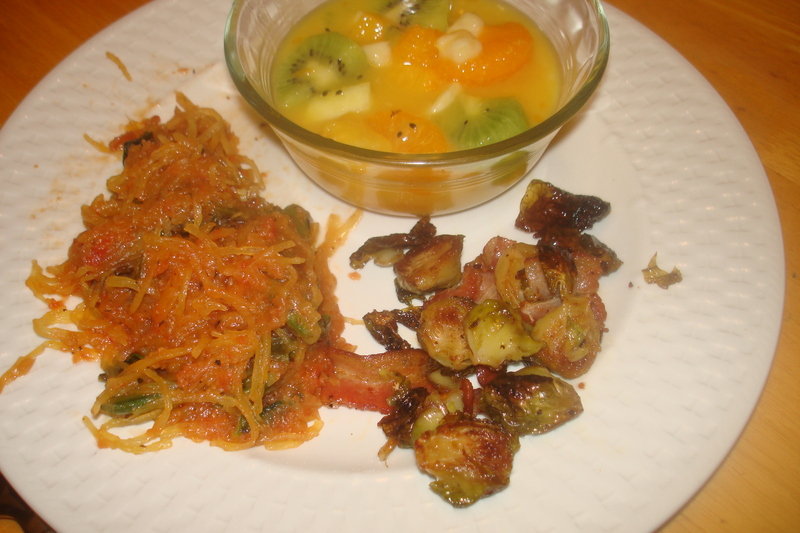 I took one spaghetti squash and about a l-2 lbs of brussel sprouts and made a delicious dinner!! 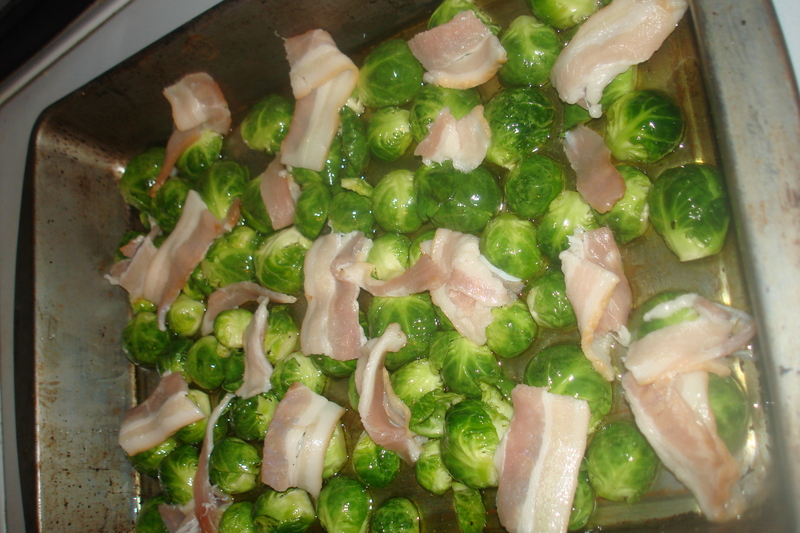 That’s right.. the way I convinced my family they loved brussel sprouts after all, is by using bacon! Want to convince your family (and maybe yourself too) to eat brussel sprouts? Try it this way! Preheat your oven to 350. Cut the brussel sprouts in half and throw in a pan (the recipes all call to throw them in a bowl for this step, but really it’s not necessary and just adds extra dishes). Drizzle with olive oil (over all of it!! ), sprinkle on the salt (more than you think is necessary, like it’s popcorn of french fries!) and some pepper. I added some Lowry’s seasoning salt, because I know that’s a flavor my hubby likes. Stir in up, toss it, coat it! Make sure they’re all well-coated in the olive oil. Then make sure the halves are all faced down. I only used 3 pieces of bacon because eventually I’d like this to be eaten without! But you can use more or less (it’s good even without!). 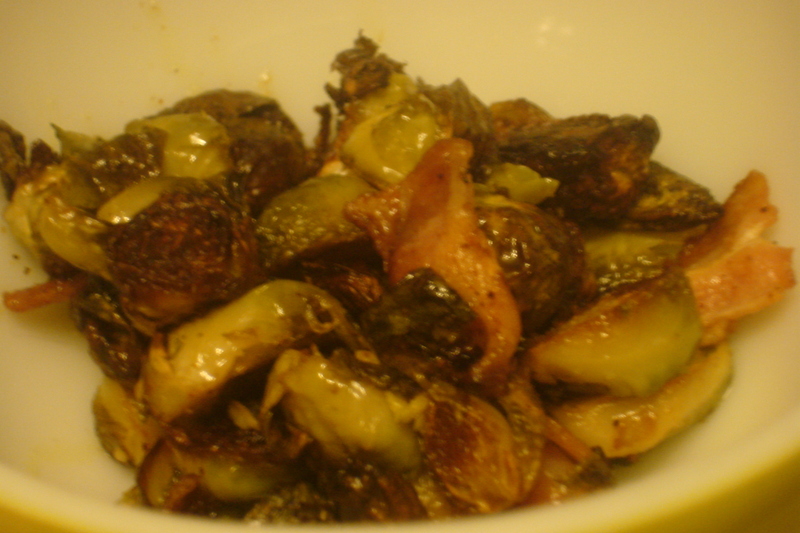 Anyhow, I just cut the bacon into small pieces and layered in randomly through the sprouts. Put it in the oven for about 20 minutes. Stir/shake every five minutes after until they’re nice and crispy, browning but burnt! Mine took about 30-35 minutes total They’ll be a little crunchy, but trust me, this is a good thing! I actually did this part before the sprouts… I took one large spaghetti squash and cooked it until soft. 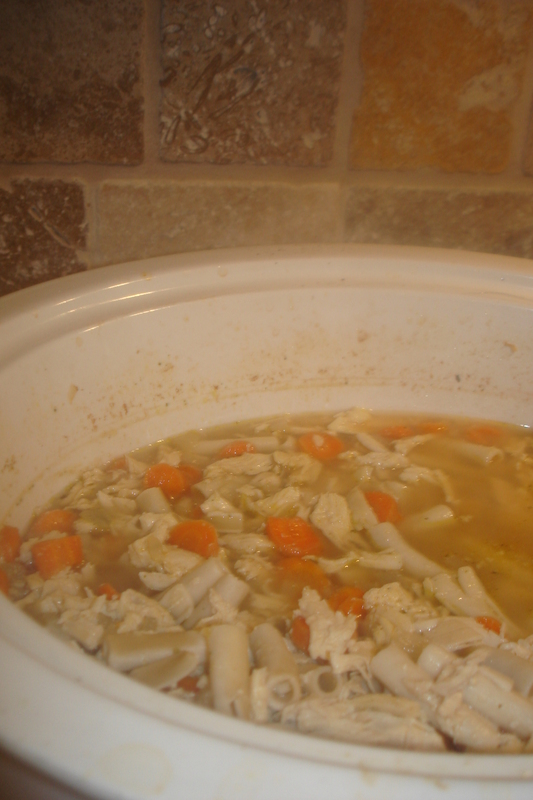 (you can do this a variety of ways from crock pot, to oven, to microwave. I used the oven- it takes about an hour, but all you have to do before hand it wash it, cut it open, scoop out the seeds and stick it in. So you can have it cooking well ahead of time.) While the brusell sprouts were a’cookin’ I threw some olive oil in a skillet, threw in some peas (my kids -and I- love peas), some chopped spinach, a little bit of chopped garlic cloves, and just a little onion and sauteed. Next I added the spaghetti squash. All you have to do is take a fork to the squash and it comes out all stringy and spaghetti noodley like (hence the name). I only used one half- the other half I scooped out and froze for a quick, easy, gluten free spaghetti night!!) 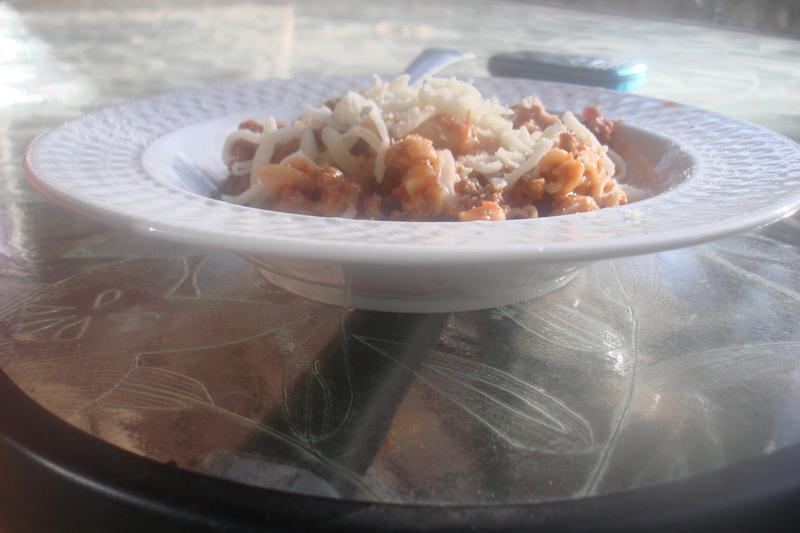 I sauteed, then threw in my homemade spaghetti sauce! Hubbyman likes spaghetti to have a good amount of sauce so I used a whole jar! I added a small amount of pepper, seasoning salt, and basil. Stirred it all up, and voila! It was delicious! And best of all, you could really throw in whatever veggie you like best! I also made a super yummy fruit salad! Yum! This was a delicious, healthy meal that my whole family loved!! And those brussel sprouts? Hubby and kids ate them like candy! MissE declared them, Really nummy! Mix egg and grape seed extract and add to dry ingredients. I sprayed my tins with olive oil (I’m not sure it’s necessary, but I figured it was better than finding out the crust was impossible to get out of the tin) and then press dough into each muffin mold. I didn’t make it very thick, but didn’t want it to be thin enough to see through either as I wanted it to hold its form. So about 1/4ish inch thick (I know, I’m so precise- sorry!). Bake at 375 for 20 minutes, or until cheese browns and sauce is bubbling. It is delicious with noodles, and with the crust! 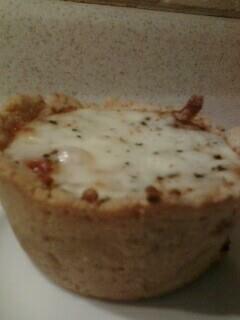 It’s more like a lasagna pie with the crust, but it was still delicious! Unfortunately, I left my camera at my parents’ and so my only picture (I really am very sad about this, because it just looked so pretty every step of the way) is from my camera. Next time I will well document my steps! Ok, so I don’t have pictures to include with this post (yet! ), but I will this evening! I have gotten out of the habit of my Impressively Simple Thursdays, and I am wanting to get back into the habit! So today I am just starting doing it! (It can’t be a habit if I don’t ever start, can it??) Because I’m hoping to get a ton done today (I’ve been hiding from the mountain of laundry screaming my name. ), I want a meal that’s simple, and doesn’t require a lot of time or effort… which is why this wonderful, yummy casserolesque dish gets the pick! I got an email (click here to see original recipe) that I got the base from, and of course, adapated to make it my own. It’s incredibly yummy and incredibly heavy (so not something I’d make on a weekly basis, but a wonderful comfort food!). Perfect twist on plain old macaroni if you ask me! And hubbyman loves any recipe that includes bacon! Now, go ahead and cook your noodles (boil slightly salted water, add noodles, bring to a boil again. Now you don’t want these all the way mushy, you want them still slightly firm to the bite. So if you think they’re not quite done enough to eat, they’re done.) and drain well. Cook bacon until evenly browned, reserving (saving) the drippings in a small bowl. Drain bacon on towel-lined plate, and then crumble bacon into a bowl, mix in the breadcrumbs (or in my case the crushed GF protons/croutons), butter, and parsley. Heat olive oil in skillet over medium, adding in onions and garlic. 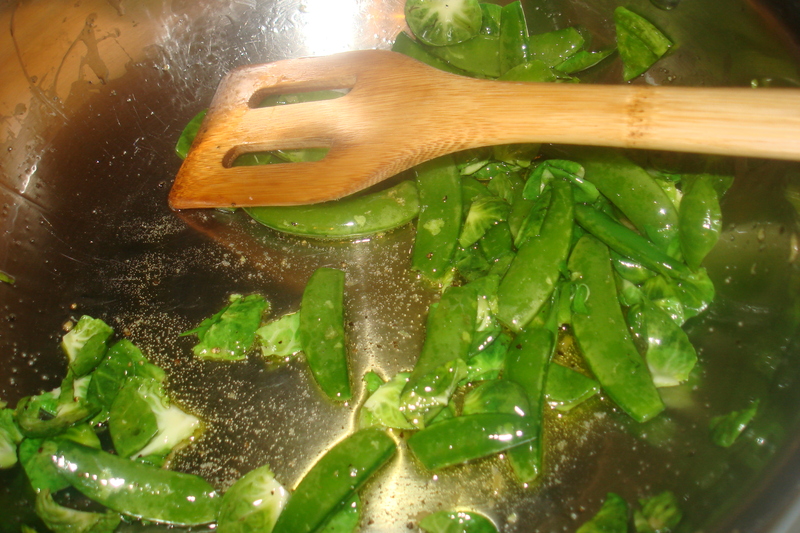 Cook and stir until they’ve softened; 3-5 minutes. Stir in bacon drippings and flour. Cook and stir for one minute and then whisk in the cream/milk and thyme. Continue cooking and stirring until reduced by about 1/3. Then add the cheeses, stirring until melted. (I find it clumps less if you add it in slowly rather than all at once.) Season with salt and pepper. Stir in the pasta. Transfer mixture into an oven-safe dish. Sprinkle with the breadcrumb/bacon mixture and bake until crumbs have browned and sauce is bubbly. About 15-20 minutes. Seem like a lot to do? Here’s how I simplified it. Instead of doing it one at a time, I did it all at once. I promise it’s not as complicated as that may sound. Get water going for noodles. While water is boiling, cook your bacon in a skillet (or something similar that you can then use for cooking the onions and garlic = less dishes). 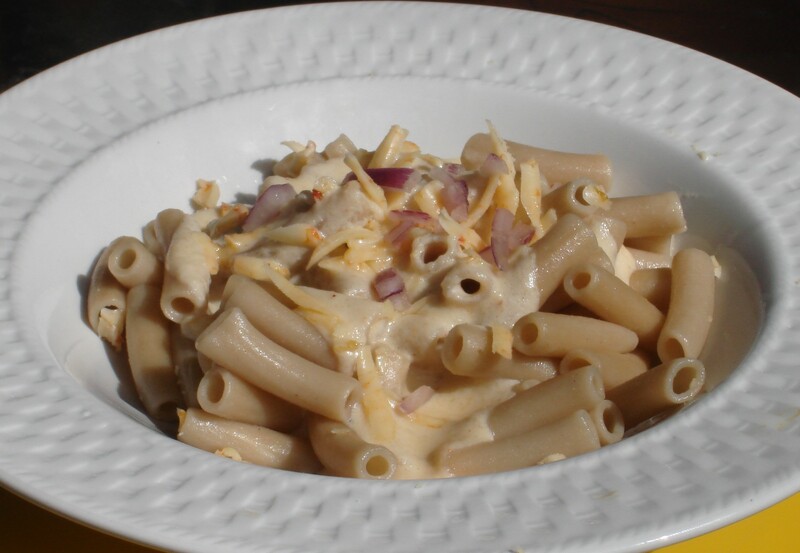 Yes, your noodles will probably be done before the full cheese mixture is done, but it will save you time in the long run. This way too if your noodles are not as firm as you need/want them, you have time to run some cold water over them or throw some ice cubes in with them and let them firm up before baking. As far as reheating, it’s not quite the same when microwaving (especially if you used all that heavy cream)… but you can reheat it in a skillet with a little extra milk/butter) for just a minute or two and voila it’s yummy! You would think my husband would know my cooking by now, right? You would think that after all these years he’d know to take a “taste test bite” before he starts shoveling it in like someone who’s never tasted the wonders of food before. Well, apparently, when hungry, that goes out the window. I had gotten this amazing cheese at the grocery store and was excited to try it out! I made “macaroni” (or my homemade version of) for the kids and so I was able to pull this amazing dish out of the leftovers that are currently taking over my fridge. Which brings me back to my original point- the food shoveling. You see, the cheese I used was cheddar. Habanero cheddar. And since both hubbyman and I are spice enthusiasts, I thought this would be a great way to spice up plain ‘ol macaroni. (pun not intended, but what a happy coincidence! *wink*) I was so excited to see his expression! Unfortunately, he though it was just plain and shoveled it in, only to have his mouth catch on fire, and exclaim, “What did you put in this? !” I’m not sure if he thought it was another prank or not (see here, here, and here), but I just about cried because I’d been so excited about my new twist on a classic that I did not see this coming at all! I probably should have gone with it being a prank. It’s really, really, really simple. Boil your water, cook your noodles, and while noodles are cooking in a sauce pan over med. heat cook 1 cup of milk, 2 tbs butter, and 2 tbs flour. Bring to a boil, about 2 min. Add in cheese. O used about 1/2 cup of the habanero cheddar and 1/2 parm. Add in seasoning (I just used pinches of mine because the cheese already had so much flavor). 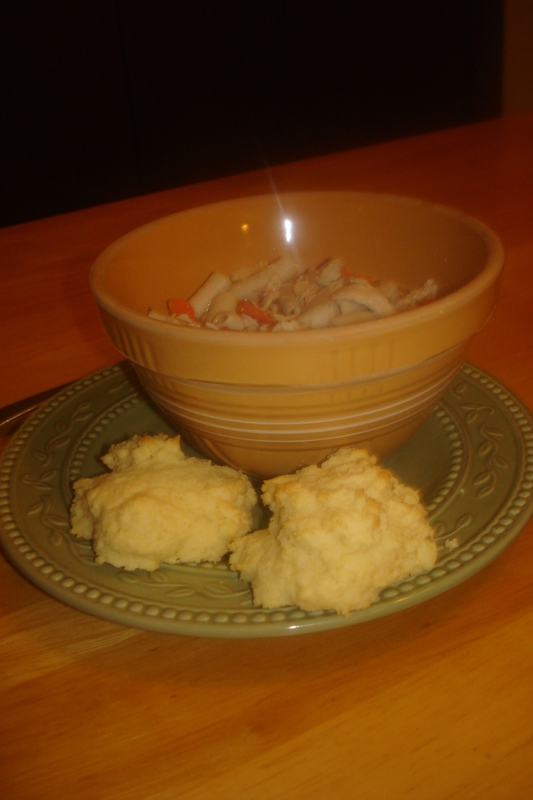 I also added in about a cup-cup and a half of cubed chicken, because I had it on hand. I think it would be really great with spinach and maybe even broccoli. That’s how I’ll try it next time. I garnished with some diced red onions that needed to be used up and it added a nice crunch! This was seriously, so, so, so good! And once he knew it was spicy, hubbyman also agreed it was good. And he had some for lunch the next day and declared it really good. As in something he’d like to eat again…when he’s been properly informed of the spice factor. When you live in the frozen tundra, as my family does, by the time Spring has sprung I’m left in a permafrost funk. Thankfully sunshine helps. But after months of being stuck in the house with three small children… I’m a little bit antsy. Thankfully the warm up has officially started and the snow is FINALLY gone! Unfortunately, for my children, that want to spend every last moment of this new found warm weather OUTSIDE… I have got the organizational munchies. I love organization. And before children I was known to go as far as to refold towels my husband had folded, because they weren’t quite right. 6 years and three kids later, I’m just thankful if any towels have been cleaned and are in need of folding, let alone getting folded- by anyone! Because of littlest E’s birth last July, we didn’t get things as unpacked and organized as we otherwise would have, so we’re dusting off the cobwebs and picking up the slack now! We’ve filled our whole big trash bin with things we’re tossing and it’s not even trash day (we never do that!). Declutter!! I just can’t stand that “little bit everywhere”…in fact, it makes me a little crazy. And let’s face it, I’m already headed down that lane, so you can see why this would be a problem. So for me the first couple weeks of warmer weathers- they motivate me! I have to force myself to stop and let the kids run and play outside because I just want to keep going! And since Monday has been dubbed, “Monday Funday” (I’m still trying to work out the rest of the days… if you have suggestions- let me know), it is our “electronic free day.” At least for the kids, and I try to at least keep mine minimized for their sake. Since it means no TV, no movies, no computer games…. we play. Outside, inside… wherever! We play. So things don’t really get done around the house on Mondays, but happiness occurs anyhow. Since we’re over that hump, today I’m attempting to get going on the re-organizing business full force! Today I have become Operative Mother of All Organization. Ok, maybe not that extreme, because I still have baby to nurse, kids to feed, dinners to make (hmm… my days often seem to focus on feeding people…). I seem to be having trouble staying focused on one subject here, so I should make this quick. Go. Do. Organize. Another goal of this mass organization is to find my stinkin’ camera adapter so that I can actually post pictures! Other than my phone’s pictures! I have some fun spring/Easter crafts and really tasty meals that I would like you to see! Want to know what I’m having for dinner tonight? A family favorite! 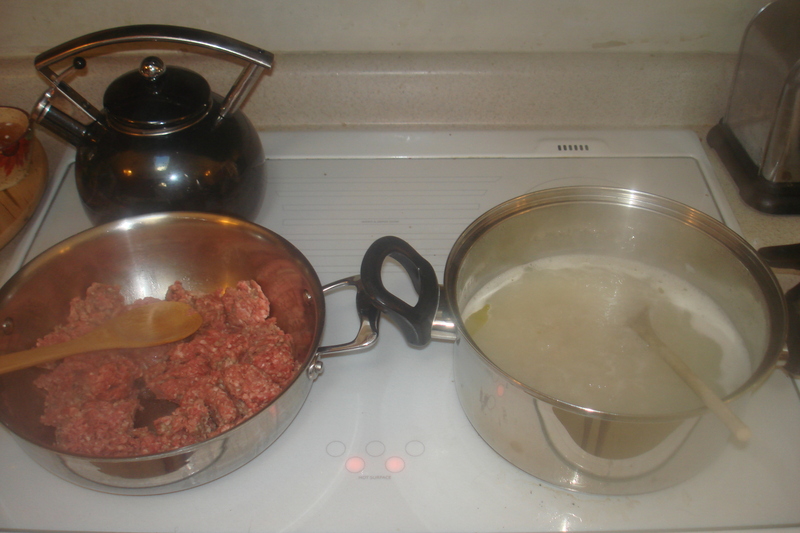 I usually just make this quick on the stovetop (takes the same amount of time as making a box of Hamburger Helper!) but in honor of being reunited with my crockpot, I may just throw it in there! This truly is a family favorite, and is also spouse-friendly! One of the first meals I made after throwing out all the boxed, packaged kinds! I didn’t know what I was doing, but threw things together…and voila! It was proclaimed delicious! Since then (I’m hoping!) it has been honed and tweaked just enough to make me feel like it’s no longer in the experiment stage. *Like Ranch burgers? Stay away from tomatoes? I have to for my girl’s sake, and so I either A)omit the sauce for her and just make hers extra cheesy or b)make a ranch sauce (plain white sauce: 2 tbs butter, 2 tbs. flour, 1 cup milk. Boil 2 minutes and add whatever seasoning sounds good to you. I use a buttermilk ranch seasoning.) Don’t want dairy? Skip the cheese all together. Still very good! 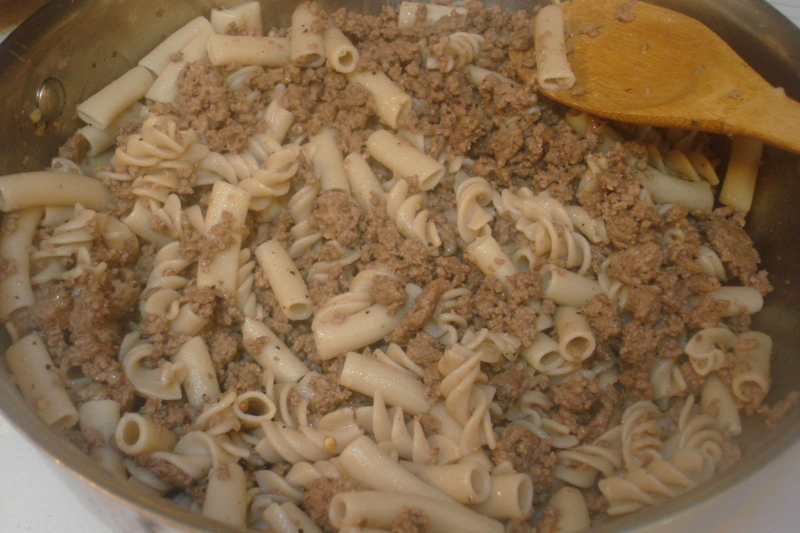 side note: You can do this all in one pot, but I had hungry people so I boiled the water, then put the noodles in as I browned the ground beef (so they’d be done simultaneously). After hamburger is browned (and drained! PS. if you cook it at a high heat, it gets more of the fat out! ), add in the noodles. 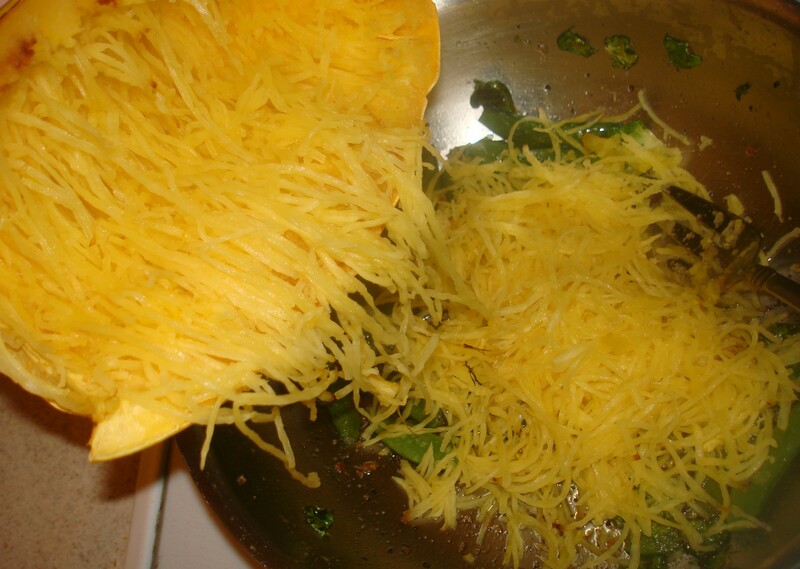 Add the cheese slowly, while stirring, so that it melts and doesn’t turn into one big clump. If needed, adding in milk. (my kids like it just like this! no sauce needed!) Add in tomato sauce (about 2 cups. I always use more because my family likes things “saucy.”). Stir so noodles are coated and in the sauce. Once boiling (med-high heat) turn heat down and simmer (with a lid!) until noodles are thoroughly cooked, stirring occasionally. About 15 minutes (but that will depend on the kind of noodles you use, so keep an eye on them). Let sit about 2 minutes (will thicken up some). And eat! Enjoy! I was starting to think my crock pot has long gone since I haven’t seen it since we moved, last summer. I came home from an outing with the kids to it sitting on the counter! My husband had found it! He walked in the door just in time to see me discover it! I literally jumped in his arms! (He threatened to hide it again based on my enthusiasm! But he also found my food puree-er that I’ve been searching for to make baby food with, so I was doubly excited!) In honor of that, I think tonight I will attempt throwing all the ingredients in the crock pot and seeing how it turns out! I’ve been working through a post about WHY we eat and cook the way we do…but it’s not quite *there* yet. So, until it is, just know, my recipes will be gluten free, or how to make them gluten free… And usually, easy. I really enjoy cooking, but mainly only have time for easy. And I want to share recipes that other people would actually use- within the amount of time a normal parent has to get dinner going and on the table! That being said, I’m going to share 2 noodle recipes. Each are good, easy…and gluten free. Hubbyman even made the noodles yesterday! Combine the rice flour, tapioca starch, xantham gum, and salt in food processor and process to mix. Combine the egg, egg yoke, and olive oil, and water in a small bowl, and whisk. Turn out, crumbs and all, and pat together into a disk. Cut the dough in half and work with one half at a time. Enclose the other one in plastic wrap. Place the ball of dough between two sheets of plastic wrap and roll into a very thin, even rectangle approximately 10×12 inches, turning the sheet of dough several times. Repeat with 2nd ball of dough. If using immediately, peel off plastic, and cut into strips of desired width. Lay strips on clean kitchen towel and let dry slightly, for about 10 minutes. If freezing the dough, leave the sheets inside the plastic wrap and cut later. to cook: bring 2 quarts of water to a rolling boil. Add 1 tsp of salt and the pasta. Stir occasionally, until pasta is al dente, about 2 minutes. Drain and toss with butter and Parmesan (3 tbs butter and 2 oz Parm), or sauce of choice. *Italian cooks say you should be able to read a newspaper through it- hubbyman says then put a light behind it! We used white rice flour instead of brown, because it’s what we had! And no food processor, because it was less to clean! We also doubled the recipe and rolled out the two extra sheets and froze. They thaw in about the time it takes water to boil. 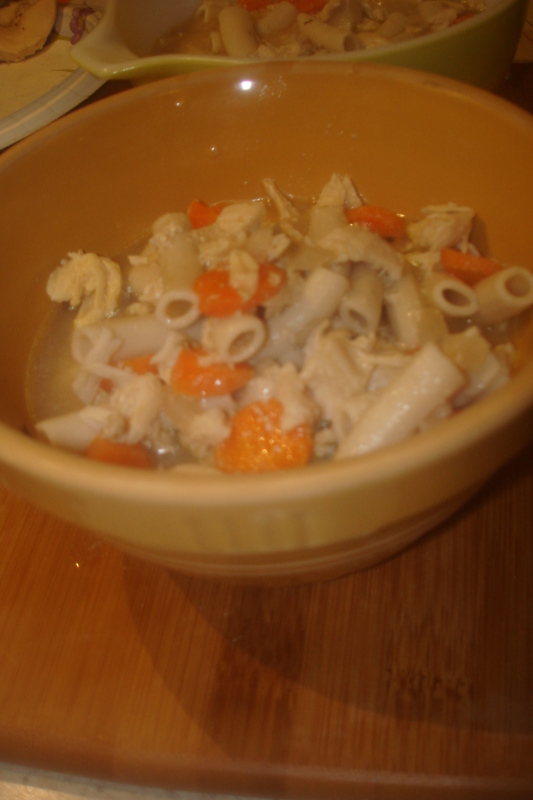 This time we used it in a pasta salad and it was so good! Mix dry ingredients together. In separate bowl beat eggs oil, then mix with dry ingredients. Work dough into a firm ball, kneading for 2 minutes. Roll out as thin as possible (using potato starch instead of flour to prevent sticking). Cut in size/shape desired. Salt boiling water with 1 tbs oil and add noodles. *these ones came out very thick. I’m not sure if it was because I didn’t roll them thin enough or just how the noodle is. 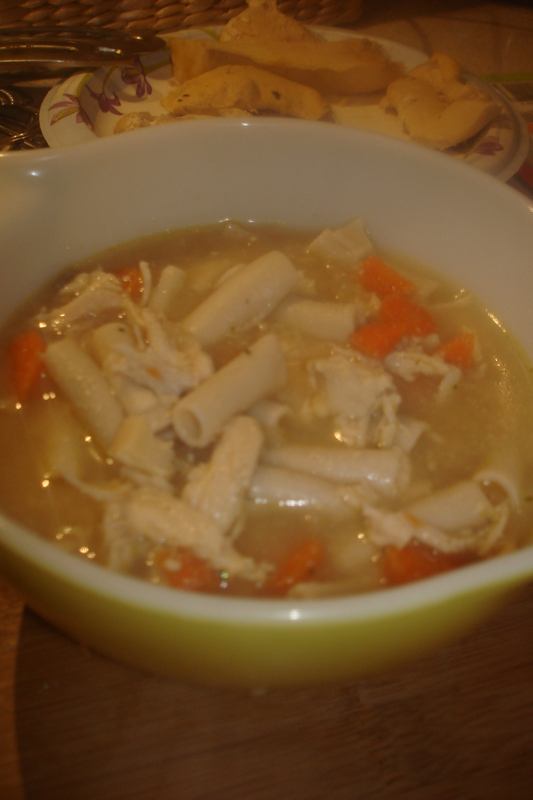 (my first attempt at pasta and my only try with this recipe) Would make excellent noodle for soup! 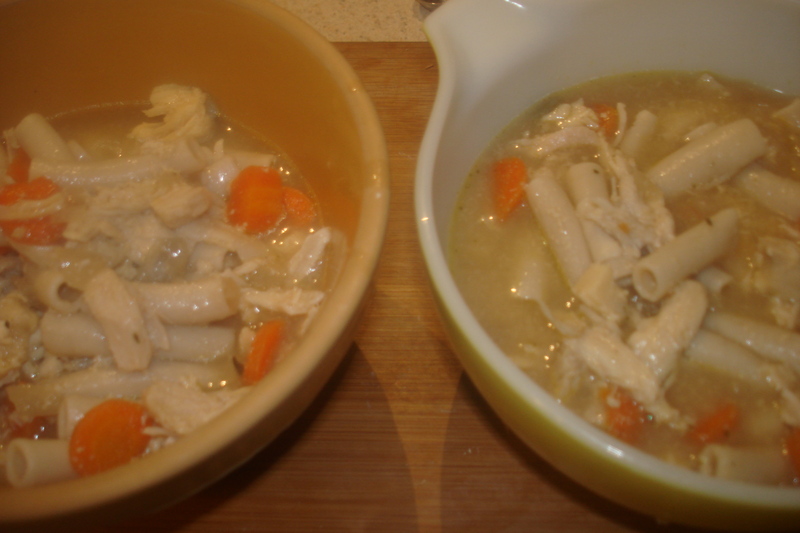 (reminds me a lot of traditional chicken noodle soup noodles) And they were so, so, SO yummy!